If you are looking for personalized, concierge level care from your O&P provider, M-Power is your Solution! 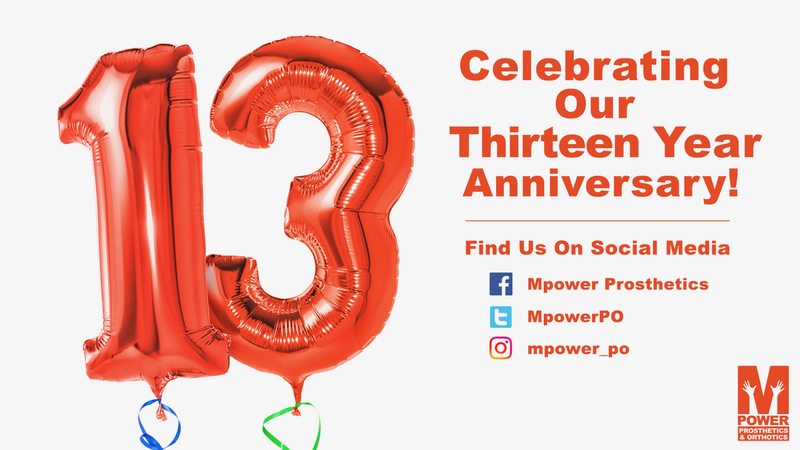 Celebrating our 13th year, our vision is to provide superior quality O&P care that: Patients recommend to their family and friends; Physicians prefer for their patients and Our Employees are proud of! 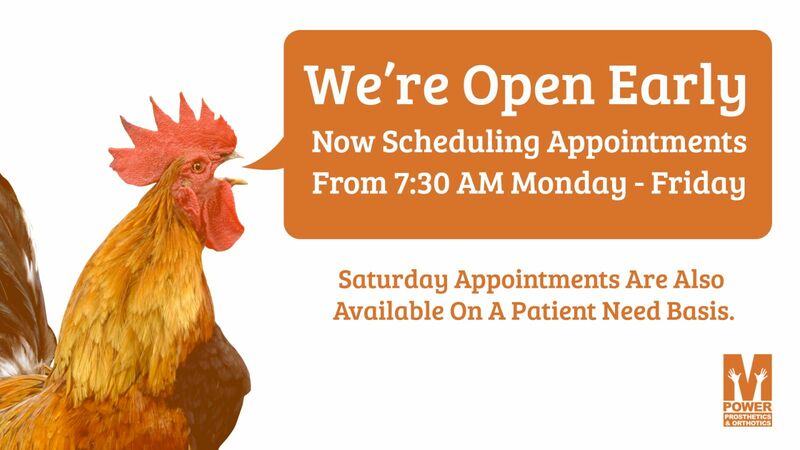 Let us help you "Find Your Independence" and schedule a Free Consultation Today! An amputation can be overwhelming on many levels: physical, emotional, new terminology, lists of Do's and Don'ts...it's a lot to take in. The M-Power team has developed a comprehensive online resource library to help you through each stage of your amputation. It will provide you with in-depth care and user guidelines; The Information to...M-Power You! If you would like additional information on something you see - or don't see - don't hesitate to contact us! As an active member of North Texas’ community of support organizations, our focus is on M-Power-ing you to live your life. We have been a long-time sponsor the Dallas Amputee Network. D.A.N. – the region’s leading organization that provides peer counseling, training, social events and other support services to North Texas’ amputees, families and friends. We are proud sponsors of Legapalooza, the community-wide event benefitting the D.A.N. Legapalooza raises thousands of dollars annually which gives D.A.N. the resources necessary to provide training, social events and materials necessary to support their mission. 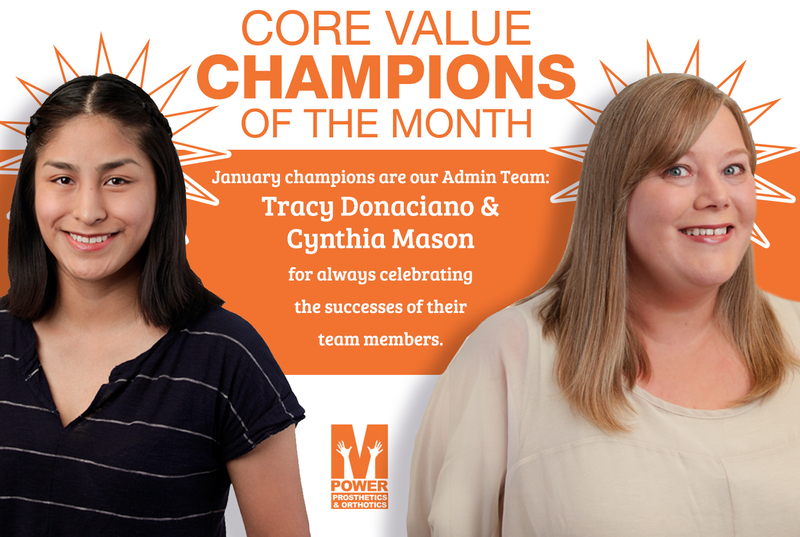 The M-Power team is here to help advocate and M-Power…You! Navigating the healthcare maze is becoming increasingly more difficult. Insurance companies are demanding more and more documentation to justify appropriate components for covered persons. We have developed a user-friendly tool that takes the guesswork out of what the insurance companies are looking for in the documentation. Appropriate documentation enables us to provide the best device for our clients with the least amount of hassle to you or your doctor. M-Power’s administrative team is here to help advocate for you with insurance companies and other agencies. They are skilled at helping you understand the “systems" and give you guidance on how to advocate for yourself. We encourage you to speak with them.